LDOC (Last Day of Classes) is something worth celebrating about. Usually around this time of year, I am always burned out by the amount of stress college gives me. Seriously. Every year, my friends and I get super excited over the festivities that go down on that night. I like to get a head start on planning my outfits for the big day. It's one less thing to stress about, that's for sure. 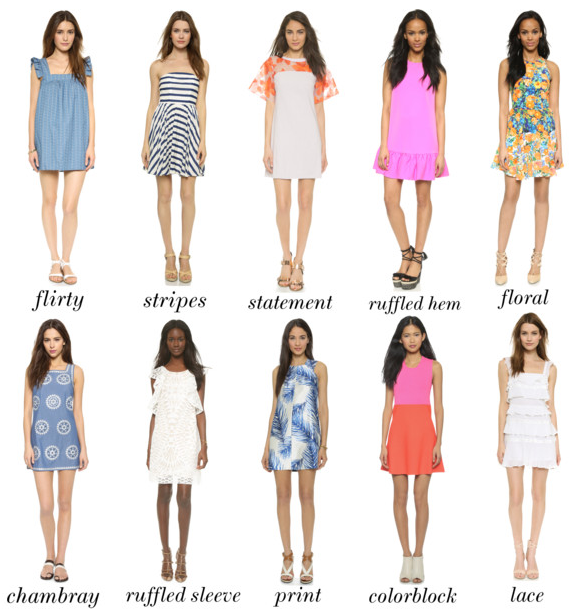 I really want to wear a dress this year for LDOC, so I rounded up a few Spring dresses that would make for the perfect outdoor occasion. What are your favorites? such gorgeous picks! love all the floral and ruffles! good luck studying!